Here at Moostash Joe Tours we are always trying to make available new destinations and tours for your to experience! Our 2015 schedule is underway right now, and we are very excited for the great things ahead in 2015. Our mission is to make available to you tours for every possible destination in the US you can think of. We are already looking ahead and planning for 2016, and we have some great new tours in the works for the first part of the year for 2016. Please stay up to date on our website for current information on all of our latest news and tours! This entry was posted in Announcements and tagged motorcoach tours, tours from nebraska on February 24, 2015 by Moostash Joe Tours. Moostash Joe Tours really appreciates you taking the time to browse our website! We hope you are finding exactly the motorcoach tour or escorted vacation that your looking for. Just to let you know, if you would like to subscribe to our e-mail list you can do so on our website in the Contact US Tab. Just scroll down and see the information space so we can get you receiving new updated information on all the happenings at Moostash Joe Tours! Our e-mail’s are very fun and informative. Our last Winter Newsletter was sent in January and it included fun pictures, stories, and updates! Make sure to keep up to date with our 2015 schedule. We have great bus tours coming up in the next few months! And all have convenient pick up locations in the Omaha Metro and surrounding areas! This entry was posted in Announcements and tagged bus tours, escorted vacations, motorcoach tours on February 17, 2015 by Moostash Joe Tours. 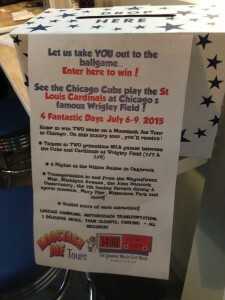 1490 AM – Enter for a chance to win 2 seats on our Cubs and Cards Baseball Tour! 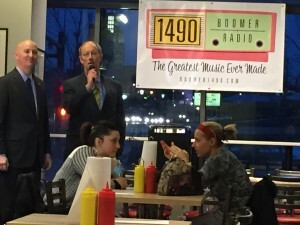 Moostash Joe Tours is excited to be a sponsor on the new 1490 AM Boomer Radio Station! 1490 AM will have exclusive rights to air all the Chicago Cubs Baseball Games in the Omaha Metro area. They will also be playing the music for the 70’s with the tagline of Boomer Radio! There is also a unique opportunity for you! Listen to 1490 AM in the next couple months to learn how to enter your name to win 2 seats on our Cubs and Cards Baseball Tour, July 6-9, 2015! This escorted motorcoach tour includes 3 nights luxury accommodations at the Hilton Suites, Oakbrook Terrace, IL, 2 games between the Cubs and Cardinals at historic Wrigley Field, and much more! 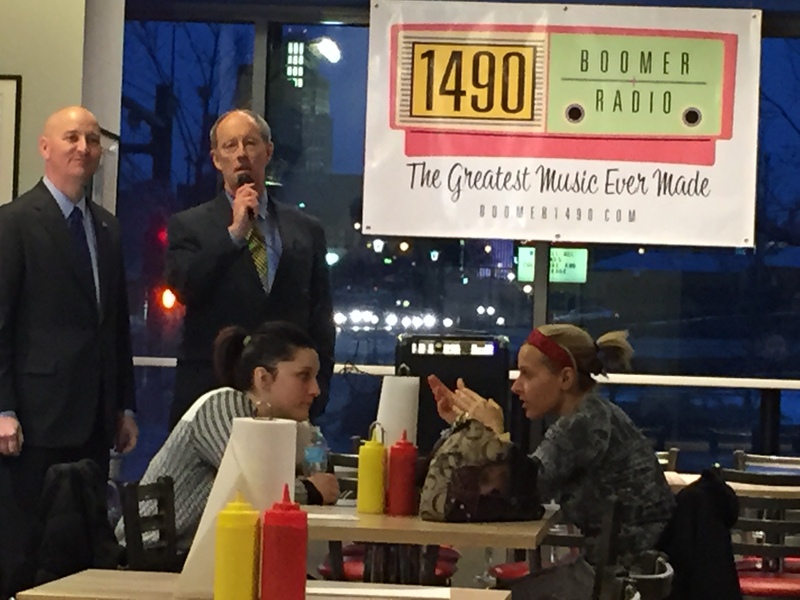 Last night, 1490 AM had kick off celebration at Chicago Doghouse Restaurant in Omaha. Joey and Ashley Spellerberg were both there representing Moostash Joe Tours and our new sponsorship with 1490 AM. 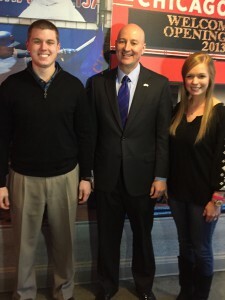 Special guest, Governor Pete Ricketts, was there to talk about the Cubs and the upcoming season and congratulate 1490 AM for their commitment to broadcast all the Cubs baseball games. Did you know that other than Chicago, Omaha has the second largest number of Cubs Fans? It is pretty cool that you will have the opportunity to listen to all the games, right here in the Omaha Metro! 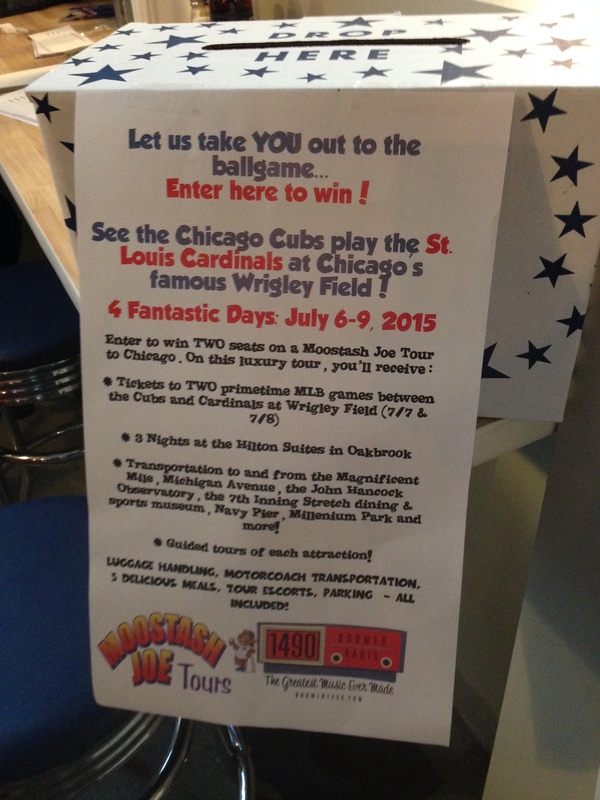 Again, make sure to tune into 1490 AM to learn how to enter your name to win 2 seats on our Cubs and Cards Baseball Tour, July 6-9, 2015! This entry was posted in Announcements and tagged Cards and Cubs Baseball Tour, escorted tours, motorcoach tours on February 13, 2015 by Moostash Joe Tours. Experience the antebellum plantations, mansions, battlefields, wildlife and southern hospitality tradition of the deep south on our Natchez and Deep South Tour! This motorcoach escorted tour takes you through some of the most majestic places in the south. See Longwood Mansion, Rosalie, Mansion, Rosedown Plantation, Oak Alley Plantation, and Much More. You will stay at the Magnificent Grand Hotel in Downtown Natchez, and experience reminders from an era of grandeur and charm, southern hospitality in this historic city on the Mississippi River. This escorted tour also takes you to Tueplo, MS as you visit the birthplace of Elvis and go to the museum and chapel. Also Drive through Natchez Trace and visit the parkway’s visitors center before taking the historic Natchez Trace Drive. Also included is the guided tour of Natchitoches, Vicksburg, MS civil war battle fields, and see the famous Old Court House Museum! Overall, this bus tour leaving from Nebraska to Natchez and the Deep South is sure to give you charm and wonder as you are fascinated by the homes, mansions, cuisine, and southern hospitality of the Deep South. Click the link below for more information! This entry was posted in Latest Tours and tagged bus tour leaving from Nebraska, escorted tour, motorcoach tours on February 10, 2015 by Moostash Joe Tours. Moostash Joe Tours has always been dedicated to the values of hard work, integrity, commitment, and excellence. We are passionate about taking our passengers to the best destinations around the world for the best possible price. As a family business, we take the same pride in our work as you do in yours. We are passionate about our all our guests, just like you were part of our family. Specializing in motorcoach tours from Nebraska, Iowa, and South Dakota, Moostash Joe Tours will always strive to give you the highest quality escorted tour for the best price. Our destinations include New England Fall Foliage Bus Tours, Mackinac Island Tours, National Park Tours, and much more. Founder, Moostash Joe, is now passing along all his knowledge and experience to his son Joey Spellerberg. Please click the link below read our most recent article in the Fremont Tribune. It tells the story behind Moostash Joe and his son Joey’s relationship and why you want to travel with Moostash Joe Tours! Can’t wait to serve you as our next guest! This entry was posted in Announcements and tagged bus tours, bus tours from Nebraska, escorted tours, Fall Foliage Bus Tours, motorcoach tours on February 3, 2015 by Moostash Joe Tours.